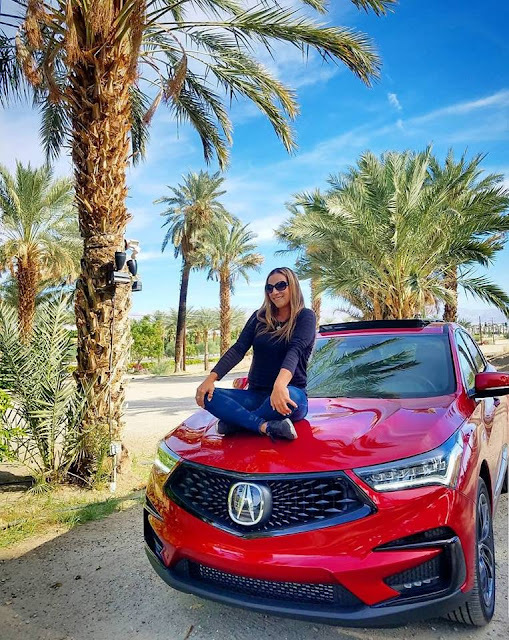 Thanks to Acura, A Girl's Guide To Cars and Visit Greater Palm Springs I was given the opportunity to test drive this fierce beauty for 3 hours. All opinions are my own. 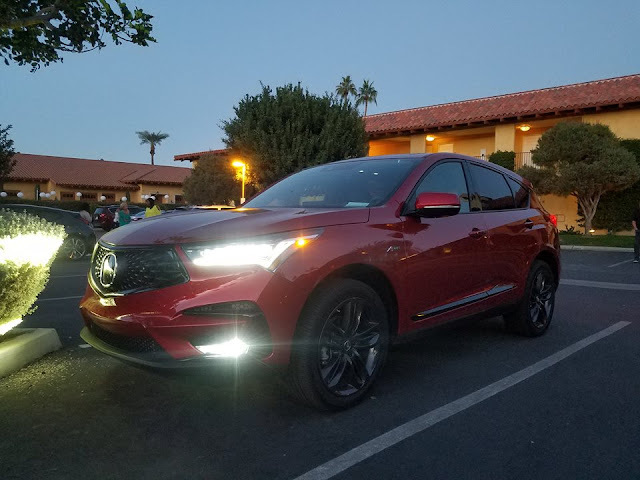 Acura has outdone themselves with this redesign of the RDX. I have always been a fan. The sleek exterior, plenty of space for family and cargo plus our old girl (our 14yo pup), premium sound, extremely comfy interior and more. Panoramic Moon Roof - my kids would love this, who al I kidding, I loved it. I can see us stargazing on a drive by the beach or up to our local mountain favorite, Idyllwild. Staying in sync with true touchpad interface - technology is amazing and with a few touches literally at your fingertips. Easy to use and navigate. Premium Theater Sound system - the music lover in me is happy about this. The sound was amazing and really surrounded the in interior with beats and jams I rocked out to. Powerful. 8 different colors - bright, shiny, bold or classy, all the colors offered are appealing and unique with style. The super handling was tight and we took turns like a champ with the RDX all when drive. I was able to be the driver for about an hour and a half around beautiful Greater Palm Springs area. I was also able to enjoy being passenger for about that same amount of time. Acura has another RDX option "for those that like to live life at fast-forward. 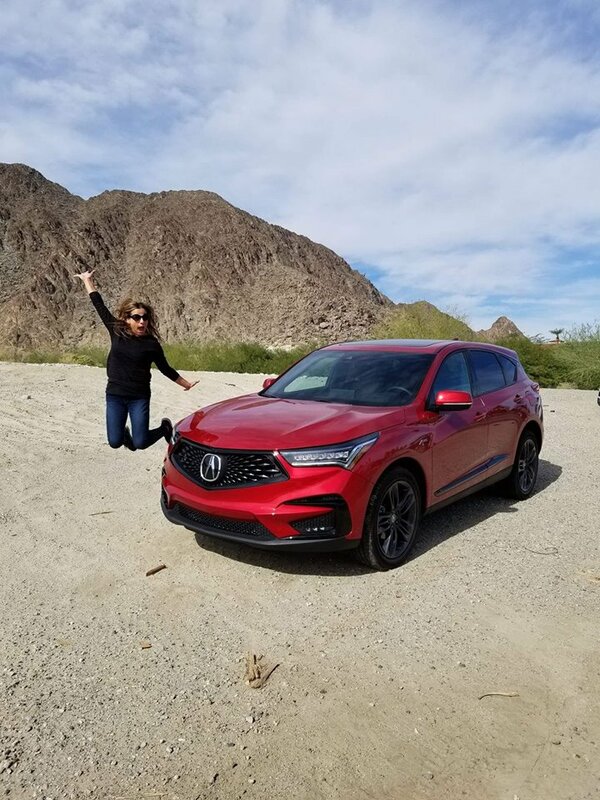 The All-New Acura RDX offers a 10-speed automatic transmission for crisp acceleration, a standard turbocharged engine and the next generation of available SH-AWD® for owning every corner. Now every move is a power move." I can't really explain how much that statement makes me smile. 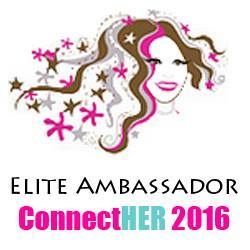 I am an ex car club girl turned soccer mom. I love control, organization, music, space for carpools and drive power. You never know when you will need to put the pedal to the medal to avoid an accident at the same time the technology for the brakes brings safety first. 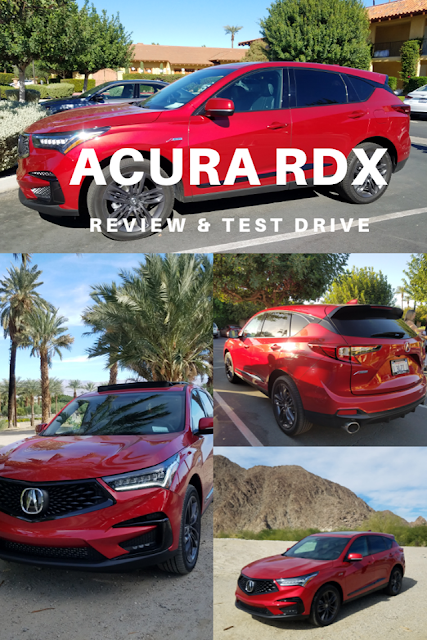 I really fell in love with the RDX more so than I liked it before. Getting behind the wheel of this classy powerful spacious.. I could go on... SUV made me feel safe too. I am really going to look into the Acura RDX next time we are looking at a new car. There are specials pricing options going on all the time. Get more information on the Acura RDX and more models here. Follow along on social media too with #Acura & #AGirlsGuideToCars . See more of my experience and text drive here and here. Oh and don't forget we're excited to share a major drive vacay giveaway with you all.. enter below and good luck!